This year the world saw the worst Ebola outbreak on record with more reported cases than in all the past years combined. Much more. The latest update from the Center for Disease Control and Prevention reports 9,178 patients, of which 4546 have died. The actual number of people infected with Ebola is actually much larger, in part because the report is missing recent data from Liberia and largely because most people refuse to go hospitals and Ebola prevention centers. It’s estimated that only two out of every five cases are reported, which sets the Ebola death toll much larger in reality. The Ebola viral disease is a terrible illness. Initially, the infection sparks high fever, followed by joint and muscle aches, before progressing in vomiting, diarrhea and, in some cases, internal and external bleeding. 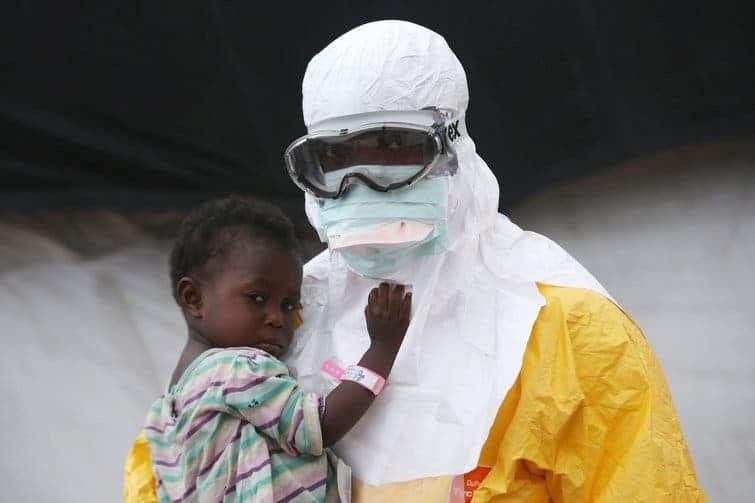 The virus is easily transmittable between humans through bodily fluids, making it very difficult to contain especially in remote Africa where there’s poor hygiene facilities and education. Since the first cases of the virus were documented in remote tropical surroundings, doctors believed it is first contacted from chimpanzees, gorillas and forest antelope. Often, bush meat coming from these animals is a precursor to the Ebola viral infection. Prevention efforts are severely hampered because of the virus’ incubation period of three weeks. During this time it stays dormant and can infect other people around without anyone noticing. Lack of support from the general population is also a big issue. 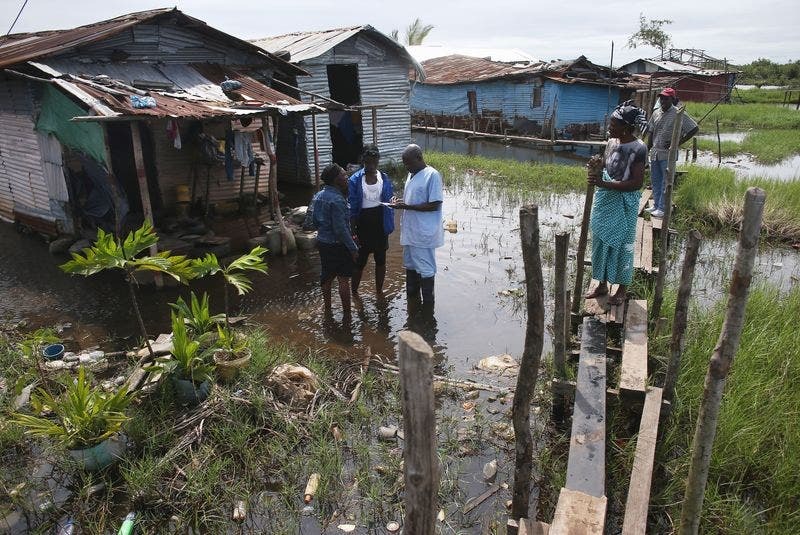 Locals (Guinea, Liberia, Sierra Leone) often refuse to turn over the dead bodies of their relatives to authorities, greatly increasing risk of infection. Some do so because of tradition, others out of superstition. For instance, there are a lot of rumors floating among the locals that the authorities use the bodies for cannibalistic rituals. This has caused riots and an unanimous hostility against health workers who can’t perform their jobs properly. More often than not, the workers are forced to relish their protective gear and expose themselves to a potentially lethal infection in order not to scare the locals. Whatever’s the case, authorities, NGOs and disease and prevention centers in the area have their work cut out for them. It all starts with the reporting mechanism itself. Those who suspect they’re infect can call a dedicated hot line, which are then forwarded to surveillance response teams in the country’s relevant districts. The next step involves a team made up of two or four trained individuals who need to hunt down the potentially infected person, often through dirt rounds and isolated locations. When the dispatch team eventually reaches a victim, he or she might already be deliriously sick for days or even dead. In this case, the officials need to interview family, friends and neighbors to assess whether or not Ebola is the case here. If the person is already dead, they notify a burial team, which arrives in full personal protective gear. They put the body in a body bag, decontaminate the house, swab the corpse for Ebola testing, and transport the body to the morgue. Reported cases are then communicated to the ministry of health in the country. The government then combines these reports with those from NGOs and other aid organizations and issues an Ebola update. These numbers are divided in three: lab-test confirmed cases, suspected cases, and probable cases. The WHO classifies a suspected case as an illness in any person, dead or alive, who had Ebola-like symptoms. A probable case is any person who had symptoms and contact with a confirmed or probable case. .
“A person needs to have recognized symptoms, seek care, be correctly diagnosed, get lab testing — if they’re going to be a confirmed case — have the clerical and bureaucratic apparatus actually transmit that information to the people doing surveillance. 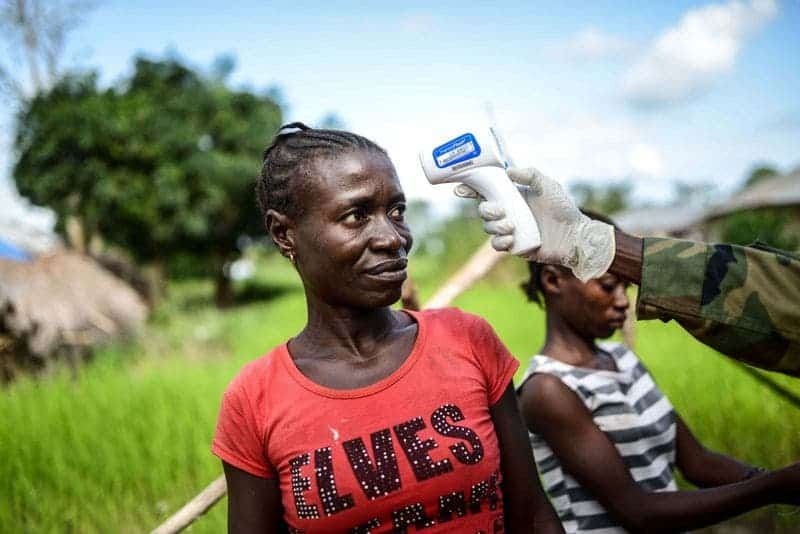 At each step along the way the case can fall out of the pool of ‘counteds,'” says Dr. David Fisman, an infectious disease modeler working on Ebola. 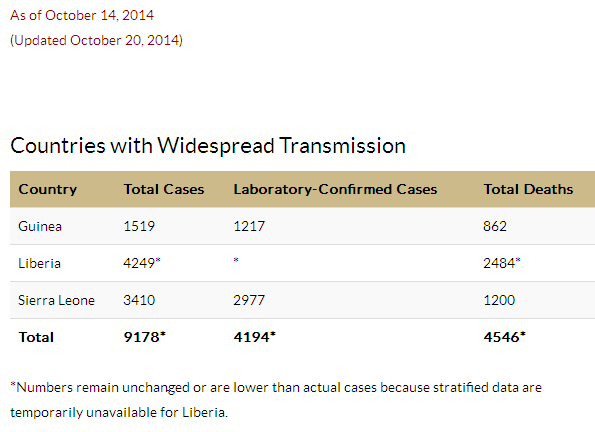 Bottom line is that a lot of Ebola cases go unreported. Comparing surveillance figures with actual hospital beds dedicated to Ebola care in West Africa, the Centers for Disease Control and Prevention suggested that under-reporting could be happening at a rate of 2.5. This means that every one case reported equals 2.5 on the ground or 12,000 deaths and 23,000 cases.